Last year, I was kindly invited to attend a workshop in London held by Greg Kessler and my friend Win Dhat, from Kates Kessler Consulting. The purpose of the workshop was to review key organization design principles and methods. 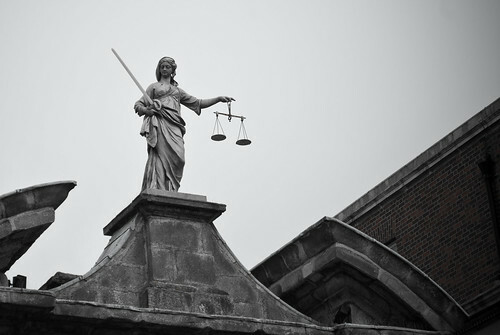 Since I have never been the subject of prosecution (so far…), I had to admit I knew little about the institution. So I asked him what its purpose was. He gave an interesting answer: “Well, basically, our job is to help avoid that too many people are arrested, or that too few are arrested”. In other words, if the Crown Prosecutor decides to prosecute 100% of the people that the Police arrests, that would be an indication that too few are arrested. On the other hand, if a low percentage of those arrested are prosecuted, it means the police arrests too many people, for example, without reasonable suspicion or with poor evidence. I then asked him whether they had always been a separate institution. He responded that, in fact, they had recently celebrated 25 years as a unified institution in Britain. Historically, prosecution was the responsibility of the police itself. So what we have here is an example of an institution that carries out a function that has been separated or “decoupled” from another institution. The reason is of course that people, over time, realized that there’s a potential role conflict here: It is not ideal having the same people investigating and prosecuting a case. The need to separate incompatible functions is well accepted in law and political science. All western democracies are today based on separation of powers (with different responsibilities allocated to the legislative, judicial, and executive branch of government). We know that it matters a great deal. There’s a strong link between the design of governmental institutions and key variables used to measure progress and prosperity across countries, such as economic growth, security, and quality of life. Look at the countries on the bottom of the lists, and you will usually find countries with dysfunctional institutions and a lack of separation of powers. Now these examples are at the institutional level, but you can find similar examples within business firms. There are many units within business firms that perform work that was traditionally done by line managers in the organization (think about Health, Safety and Environment, or Internal audit, or Procurement) but that today – for good reasons – are carried out by separate units. They say “don’t let the fox guard the hen house” in Britain. They say “don’t let the thief guard the keys” in India. They say “don’t let the dingo take care of the kids” in Australia. We say “don’t let the ram guard the bag of oatmeal” here in Norway. The problem is that it is largely ignored in books on organization design. 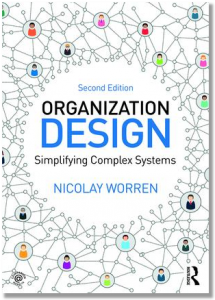 Most organization design books focus on how to achieve better integration and coordination. More generally, there are more than 8,000 books listed on amazon.com with “collaboration” in the title, and another 4,600 with the word “integration” (I am here only counting business and management related books). There are very few books on “how to separate roles and sub-units”. But if we want to design an effective organization, we need to pay equal attention to both. If Francis of Assisi was a manager, his prayer would be: Help me integrate what I can, and separate what I should, and have the wisdom to know the difference.